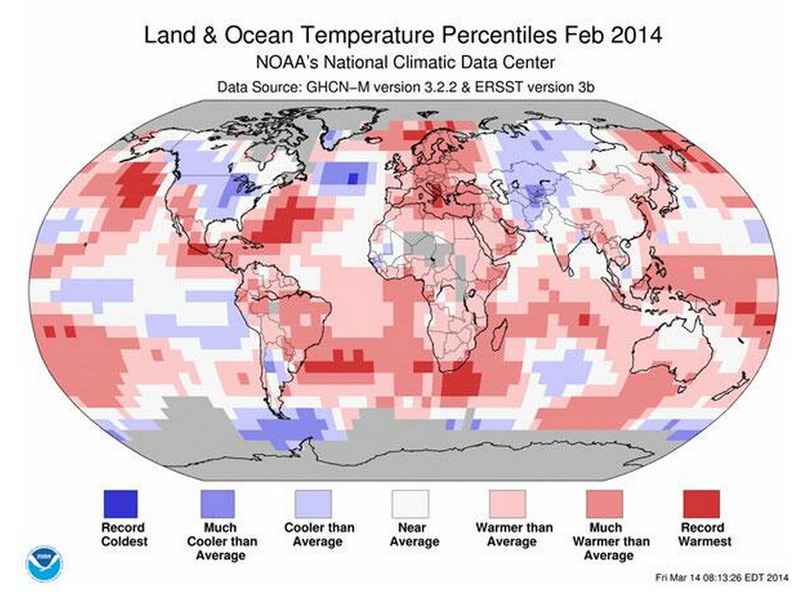 Here’s an interesting picture from NOAA of February’s temperature. It looks like the entire planet was warmer except for the mid-west and Kazakhstan. Looks like Europe is quite a bit warmer. Sounds like today doesn’t it. Actually, it was 2007. Read on to see what happened. I normally wait and tell people to wait until May 1st as a “SAFE” day to plant in St. Louis, MO. I think I’ll be taking my own advice this year. One would think that with all the information you see on global warming that it would impact everyone’s local growing situation. In some cases it does and some it doesn’t. It depends on where you live and even in which county you live. 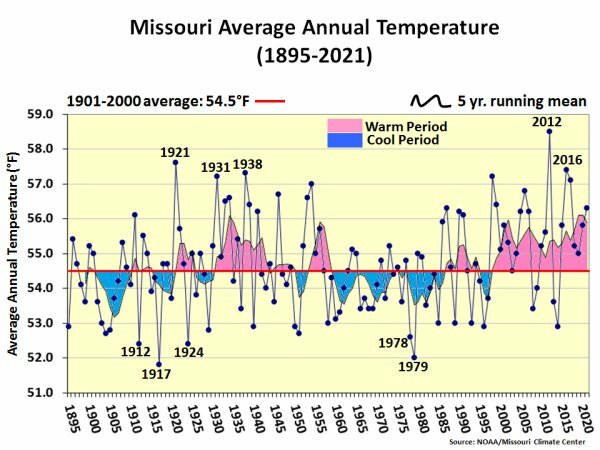 If you look at the data from the University of Missouri annual average temperature, (charts) it looks like we naturally have a wide change in average temperatures. 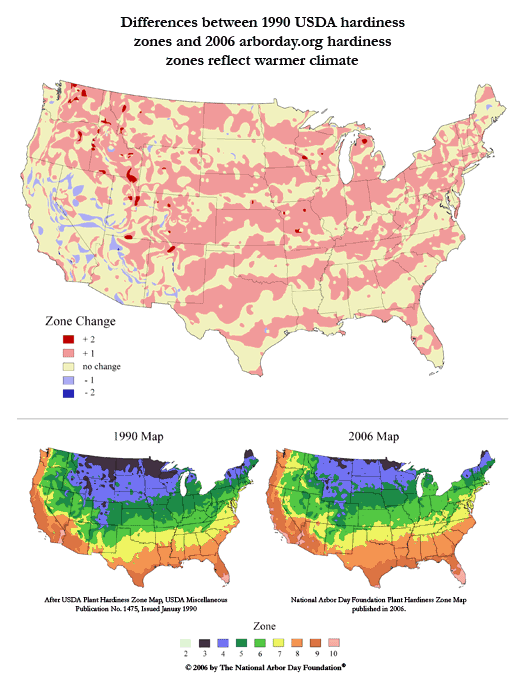 On the other hand if you look at the data from the Arbor Day Foundation, it shows that while many of the counties show increases in temperature, some do not. It almost looks like there are waves of heat across our country with cooler bands in-between. What this means for you depends on where you live. Likely you may be able to grow some plants that never would have made it in the past. 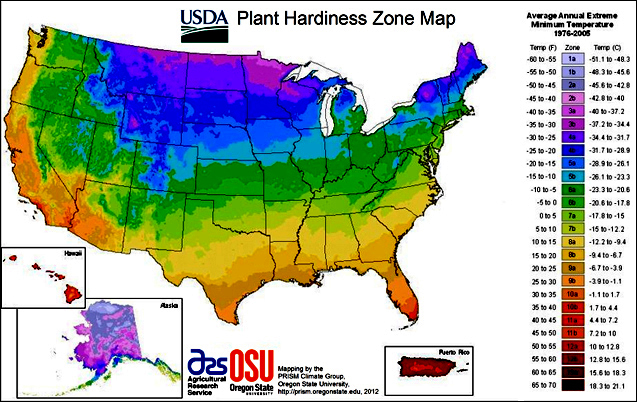 The USDA just came out with a new 2012 map which is somewhere in between the Arbor Day Map and the 1990 map. and includes a zip code search function. You can download high-quality maps at this link.